iMove CRC, a national intelligent transport R&D centre, has received the green light by the Federal Government and will be funded a $55 million grant over a ten year period. The generous grant will support the company’s new innovative transport centre, which works to develop smarter solutions to resolving road congestion and public transport issues. Following the funding grant, iMove CRC can implement plans and begin to work with researchers and organisations to develop intelligent transport systems (ITS) and work towards introducing autonomous vehicles in Australia. The proposed ITS plans aim to drive higher levels of productivity within the Australian transport system, which will benefit many aspects of the broader economy. From a user’s perspective, travel experiences will be enhanced with richer, real-time data and more predictive analysis. Trialling of ITS and autonomous vehicles began in late 2015 in South Australia, and aims to be fully incorporated into Australia’s transport system over the next 10-20 years. This is a rare opportunity for Australia to join the ITS revolution at the formation of its wave of innovation, and facilitate the supply of high-value technology and intellectual property solutions to regional and global markets. • Reducing costs associated with transport and mobility. The current Australian transport system module in place comes with significant economic, social and environmental costs. Vehicle crashes cause approximately 1,300 deaths and 32,500 hospitalisations every year, costing $27 billion annually. The annual cost of avoidable congestion is approximately $10 billion and is expected to rise to $20.4 billion by 2020. Additionally, according to ABS, a total of 6,909 million litres of fuel was consumed by rigid and articulated trucks in 2012. With the ITS plans of route optimisation infrastructure timing, and faster response to incidents, the economy and fleet owners will experience large savings through the reduction in congestion, accidents and an engine running times. o and more effective responses and re-routing when traffic incidences occur. • Acceptance of intelligent and autonomous transport systems following the lead from South Australia. ITS plans will substantially improve the productivity of the Australian transport system, through the implementation of significant decision-making tools. These tools operate in real-time and are driven by massive data collection across the network. • Infrastructure to support multiple fuel types and hybrid power trains. As said by iMove CRC Bid leader, Ian Christensen, “Transport is the backbone of our economy. As a country, we will fall behind if we cannot move our people and goods effectively and efficiently”. Australian roads are becoming increasingly more congested and our transport systems are not efficiently coordinated. The R&D activities of iMove CRC, provide Australia with an immediate opportunity to tackle this situation by developing smarter solutions and engaging with the community through the use of ‘big data’ and the deployment of new technologies. As a result of the granted R&D funding, researchers are able to commence planning and commence trials immediately. Researchers are tremendously excited about the opportunities which lie ahead for Australian transport. The Federal Government supporting such R&D projects creates significant opportunities to improve a country’s safety, convenience, economic development and lifestyle. 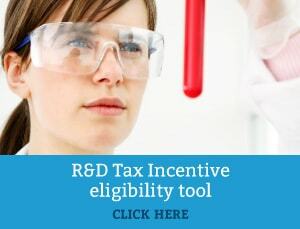 It pinpoints the importance R&D has to the future successes of Australia and to the lifestyle of residents.